People were writing diaries and journals from hundreds of years. It was an excellent way to record their efforts, feelings, events; to tell a story of their lives and to help themselves to remember important things! From time to time people are publishing designer journals to tell stories of their creations! So creator journal is not only a personal thing but a mixture of designer's efforts, progresses, struggles, issues, lessons learned, successes, thoughts and emotions but focused around his idea or project. Often designer journals are for the public to help and teach others and to promote the game, and on this kind of form of creator's journaling, I'll focus now! Why should you keep a designer journal? When you are so concentrated on the details, sometimes you can miss what your goal was, how do you want your game to look like. Did you plan to design a very simple game with 30 min gameplay and you just realised that the actual prototype is very complicated and it takes 1 hour to finish the game? It's just a simple example but gives a brief feeling what I'm trying to say. Keeping a journal or diary can help you to stay on track with your concept while you are working on some details. As there are more and more changes, it's very easy to forget what was the goal. Always when I'm writing things down, I remember them better or at least I recall that I wrote about them! I can always go back there! I guess I'm not alone here. When you write down your mistakes and struggles, and how did you overcome them you have a bigger chance you'll get it right next time. Adding value to the life of others is crucial. By sharing what you went through, people can learn from your experiences and mistakes. And of course, by helping others, you help yourself! If something is interesting, I'm sure you love reading about it. When you discover new things about the great product, you get even more excited! So you wanna know even more! That's a closed circle. Give your fans chance to learn more about your game, the development process and engage them! Give them an opportunity to know your game better and boost their excitement. If you don't keep the excitement on good level sooner or later, it will be gone. 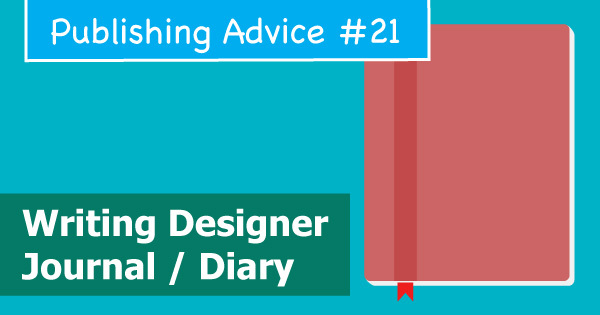 What to remember when writing designer journal? 1. Write a compelling and entertaining story! Everyone love great stories! Give your fan what they want. It's not an academical dry designer journal. We want to write a drew reader stories. This kind of stuff makes people come back. That sort of writing creates excitement around our games! Being real is the most important thing. Like every human being, we are not perfect. So don't try to look like that. By being honest, you build trust. When a reader sees your mistakes and things which went wrong he can resonate with you in some way. Your reader will know that like everyone else you fail from time to time, and that's OK. You are a human being, not a robot! Give people a reason to read your posts. If someone learns from your diary, he will recommend it to others. It will help others and will help spread the word about your game as well. Put everything chronologically, so you and your readers can follow your thinking and reasoning. Show your readers how did your first prototype look. Show then the final version. The artwork is an important part of your game! You can show them as well photos of playtests, etc. Ignacy Trzewiczek's Designer Diary: The Making of Stronghold II is a great example! You can learn from it; you can feel what Ignacy was going through, how the whole design process was hard work! It's very detailed. And it's written like a good book! I love it! Did you ever write a diary? What do you think about that idea?